The makers of Ares Galaxy do not offer or charge for any so-called "premium" versions of this program. Free Ares downloads run only on the Windows family of operating systems. There is also information available about Ares Lite Edition. Warez P2P is a client application used to connect to the Ares file sharing network. Warez P2P began as a clone of the standard Ares Galaxy client but has since forked off to become a separate alternative Ares network application. You can download Warez P2P from brothersoft.com. 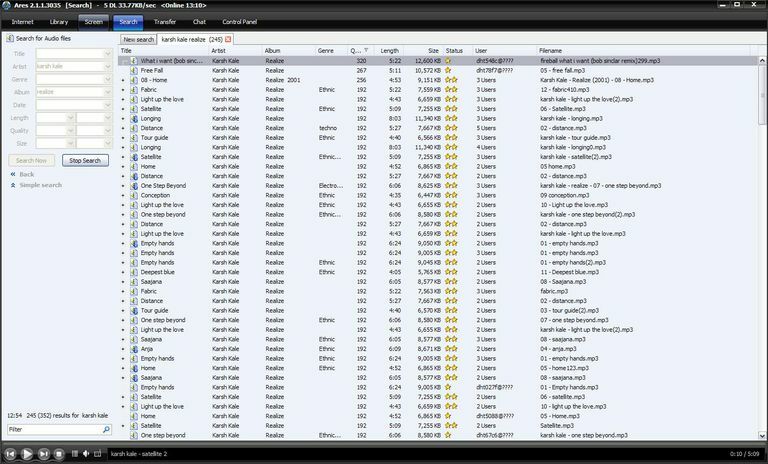 The makers of Warez P2P also offer WarezPRO, a paid client that offers faster download speeds and more search results.